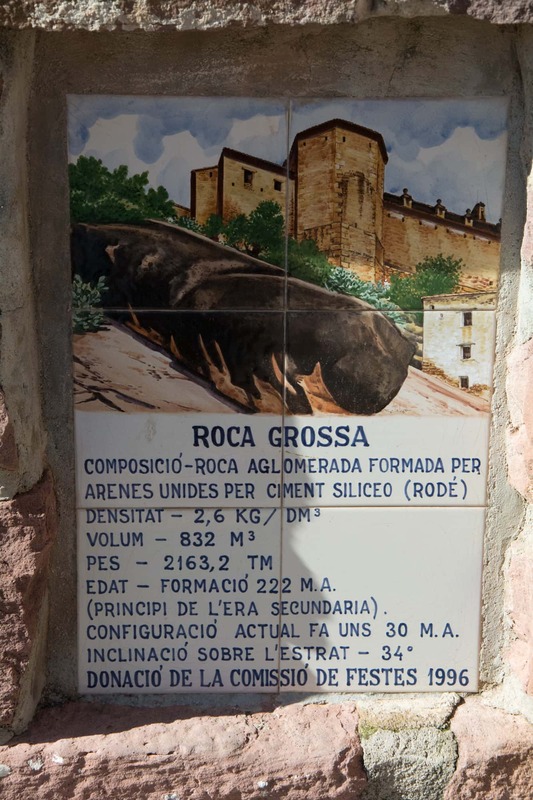 The first evidence of the territory of Vilafamés being occupied lies in the archaeology findings at the Cova de Dalt del Tossal de la Font, where remains around 80,000 years old were found, these have been attributed to the Neanderthals. There is also an archaeological site over 11,000 years old from the Palaeolithic Age in the Cova del Matutano cave. Many different populations have called this their home, which corroborates its suitability to be inhabited. 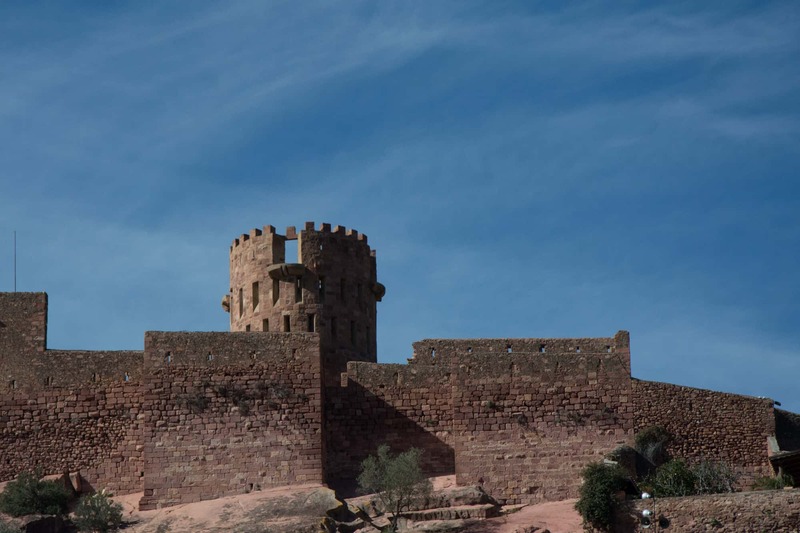 Its urban centre dates to the Muslim period, and the castle of the same time still remains. This was reconquered by Jaime I, who carried out various reforms. 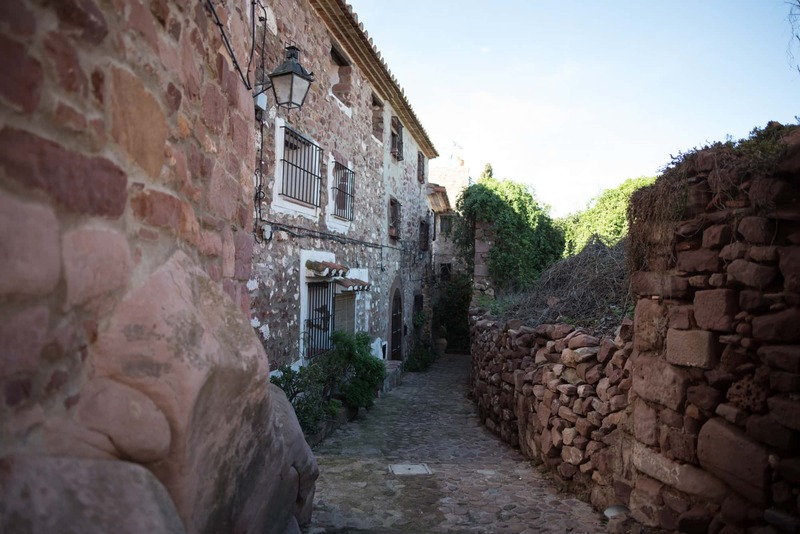 In the 13th century, the Villa and the Castle were given over to the Order of Knights of the Hospital of Saint John of Jerusalem until the following century, when it passed into the hands of the Order of Santa María de Montesa. 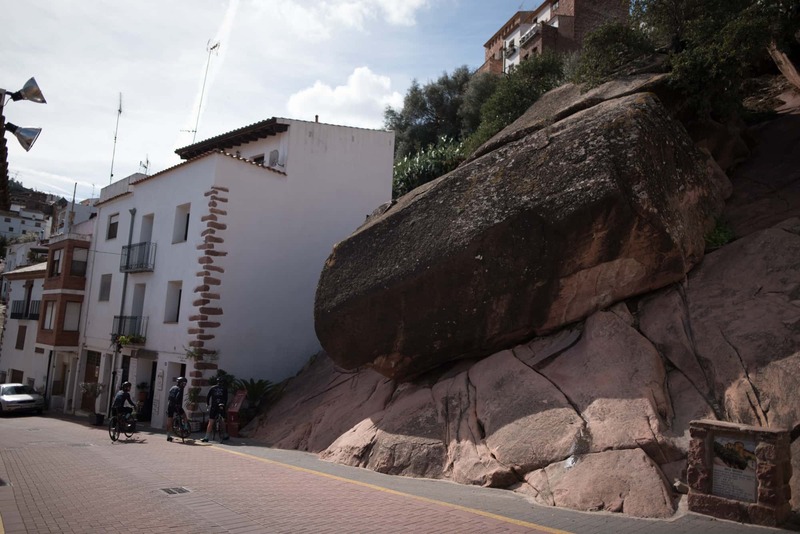 In the 19th century, after the death of Fernando VII, Vilafamés was the backdrop to many civil altercations, even after it was stormed by the Carlist troops. 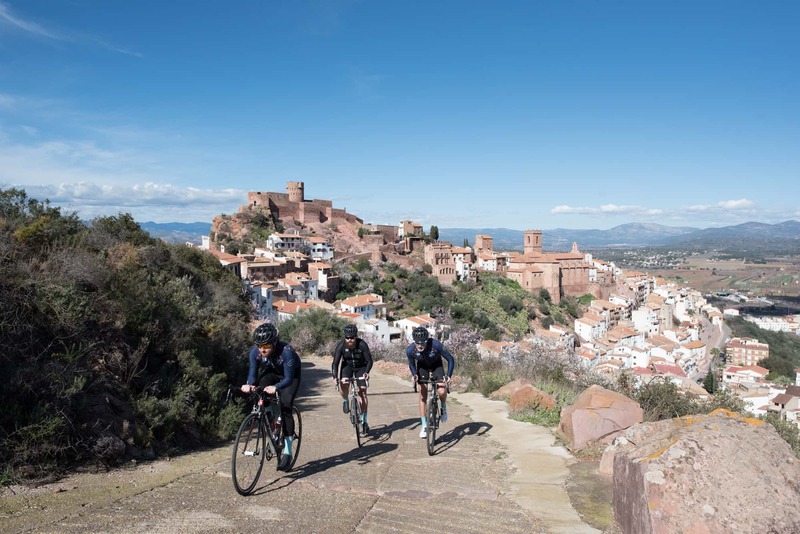 These days it is one of the most charming towns in Castellón and has the best views to offer from the top of the mountain. 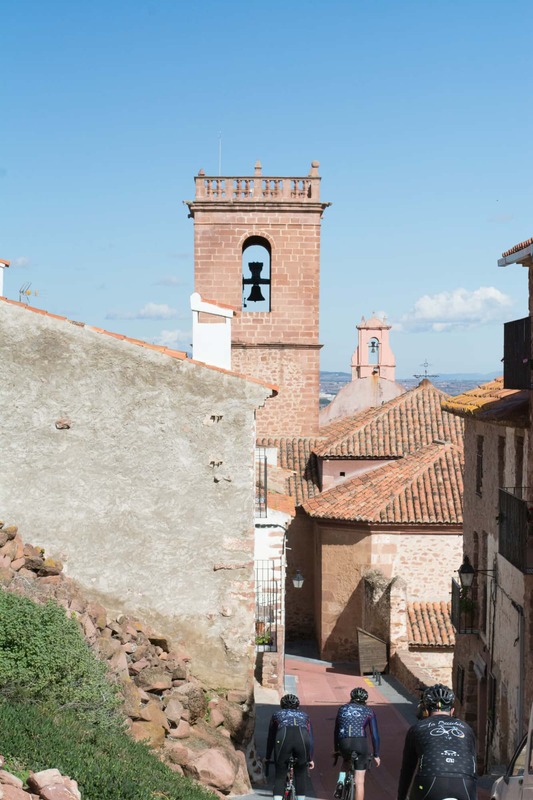 When wandering along its streets you will be able to visit the Asunción church which was built in the 16th century and has a 17th century main altarpiece inside. 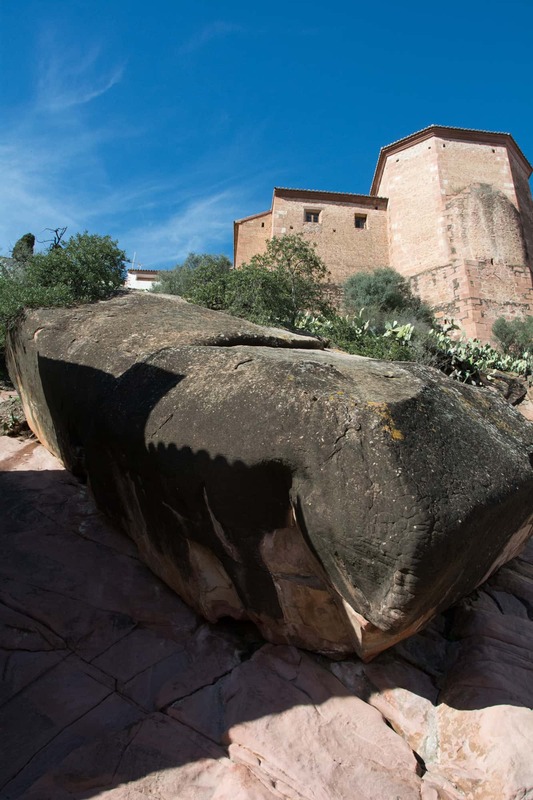 The oldest part of La Sangre church, from a couple of centuries previous, can be found along Vilafamés backstreets. 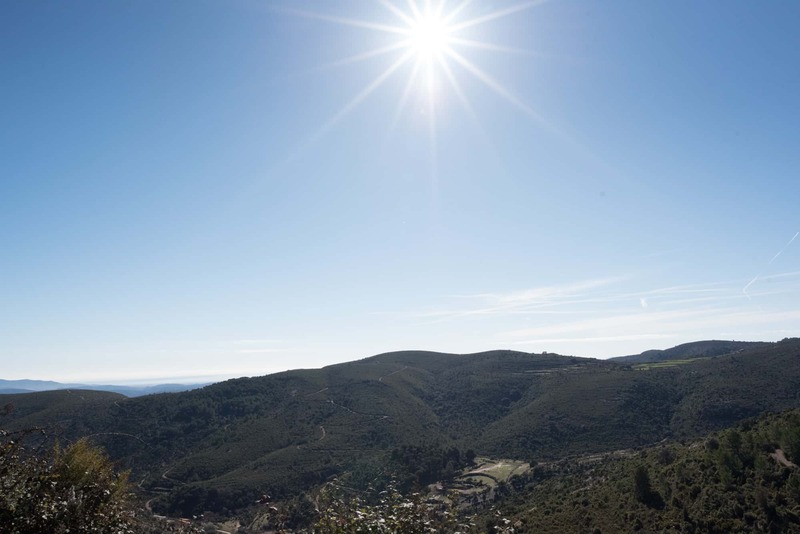 The San Miguel chapel, located on the hillside of Mount Mollet, is the end point of a pilgrimage which takes place of the fourth day of lent. 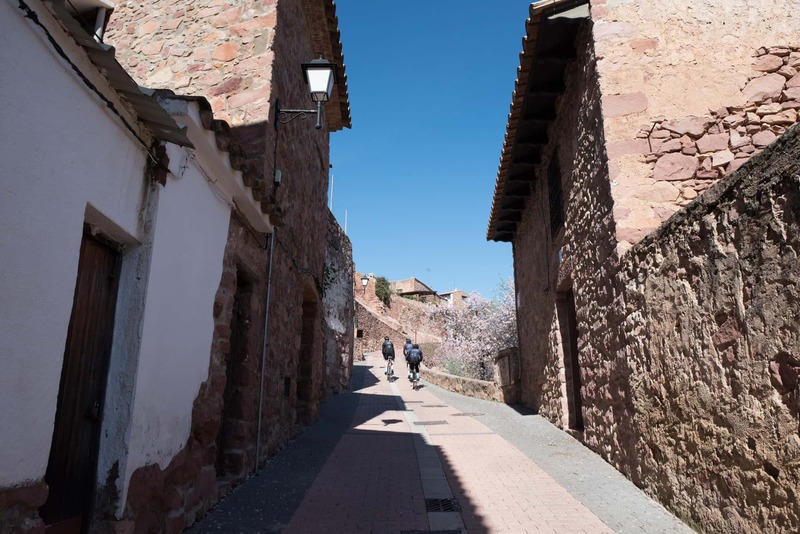 Besides its incredible heritage and the charm of its streets, you can also enjoy traditional gastronomy such as "la olla" casserole, "tombet" and its almond-based desserts. In the restaurant La Vinya (Calle la Fuente, 17), you will be able to try all of these typical dishes, as well as their specialities such as croquettes and artichokes. 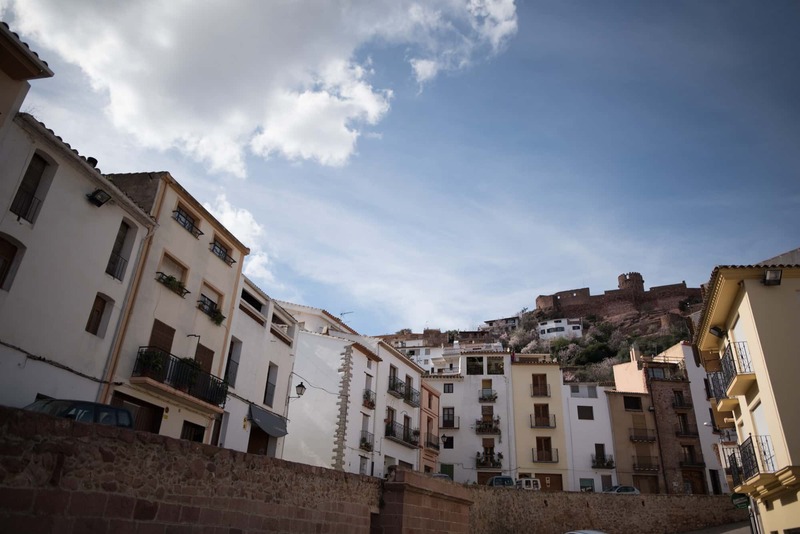 In the centre of Vilafamés you will be able to try the home-made dishes at Calauela (Plaza de la Font,3). 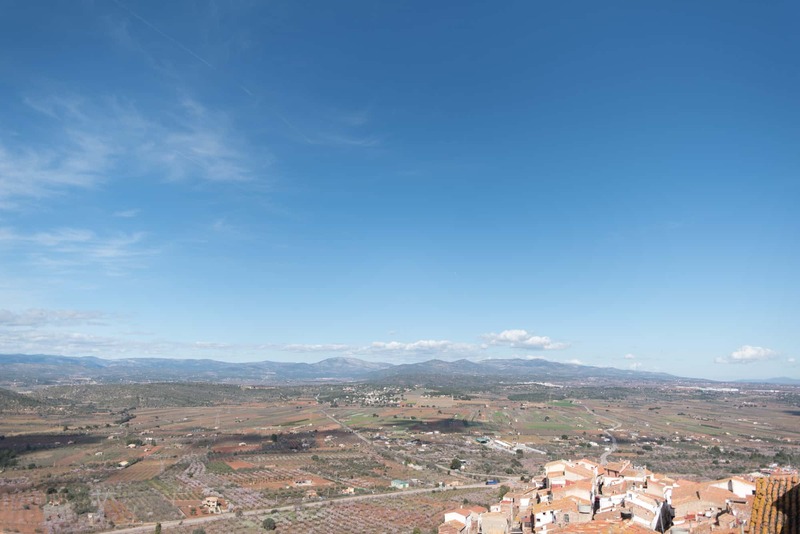 When staying in Vilafamés we suggest Hotel Rullo (La Font,2), for a rural stay in the historic centre and views over the entire town. 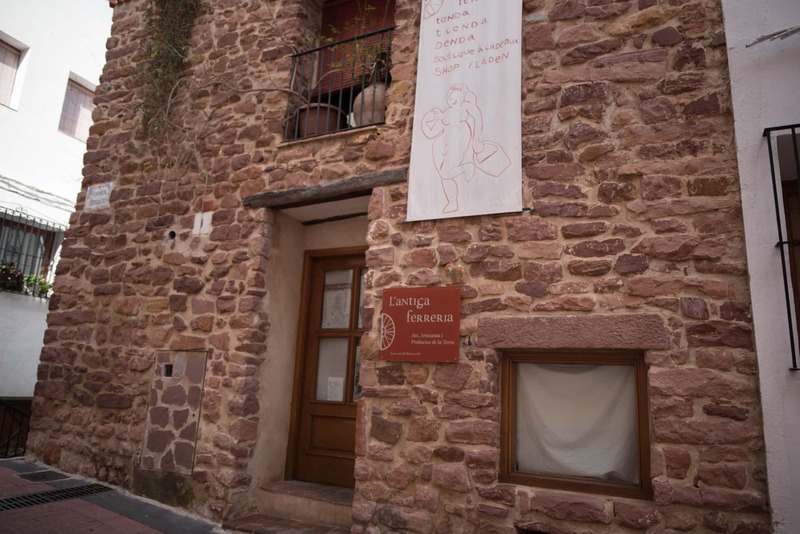 On the same street, and for a similar price you could book a room at L’antic Portal (La Font, 6), a rural hotel decorated in a rustic way. If price is not an issue, you could enjoy a stay at Jardín Vertical (Nou,25), an 18th century rural hotel. 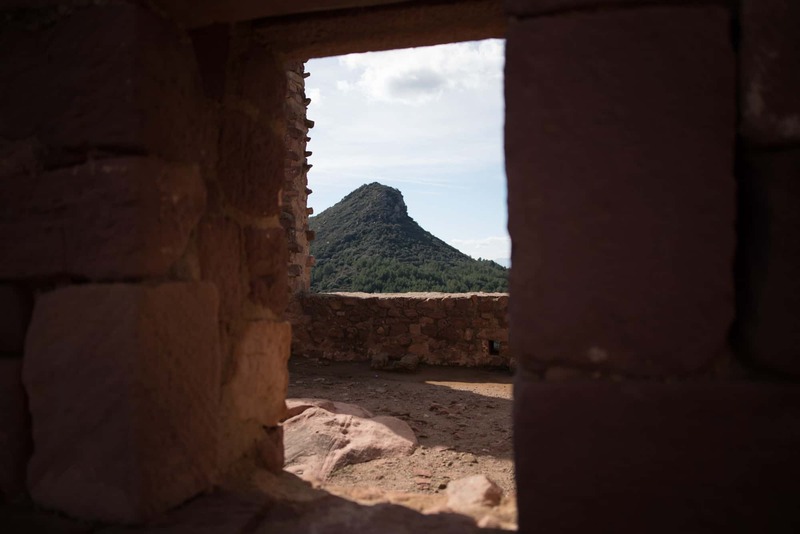 - Cova de Dalt del Tossal de la Font: an archaeological discovery where remains around 80,000 years old were found, these have been attributed to the Neanderthals. - Cova del Matutano: an archaeological site over 11,000 years old from the Palaeolithic Age. 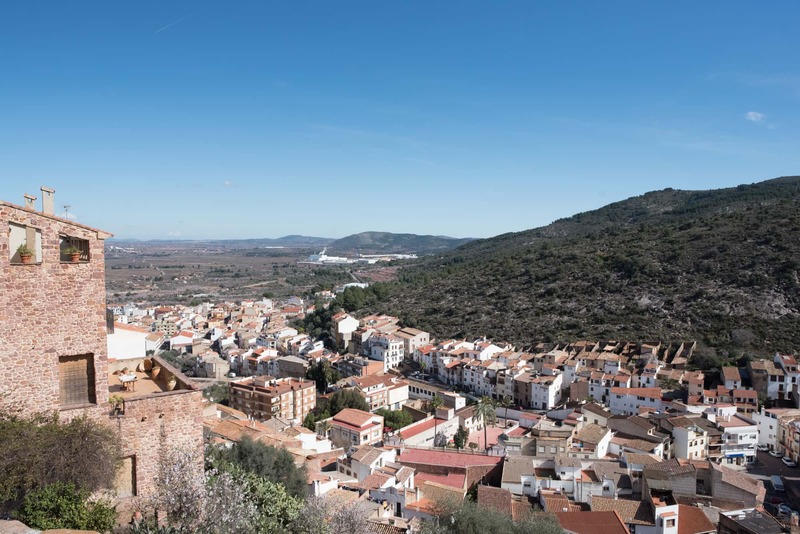 - Vilafamés Castle: from the Muslim period, located at the top of the town. - Iglesia de la Asunción church: from the 16th century. This has a 17th century main altarpiece inside. - Iglesia de la Sangre church: hidden away on the backstreets in the old part of Vilafamés. 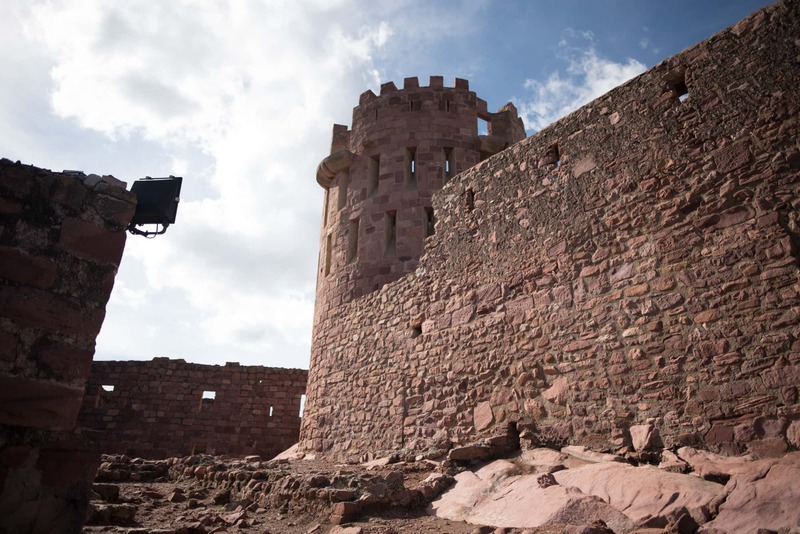 It dates back to the 13th century. 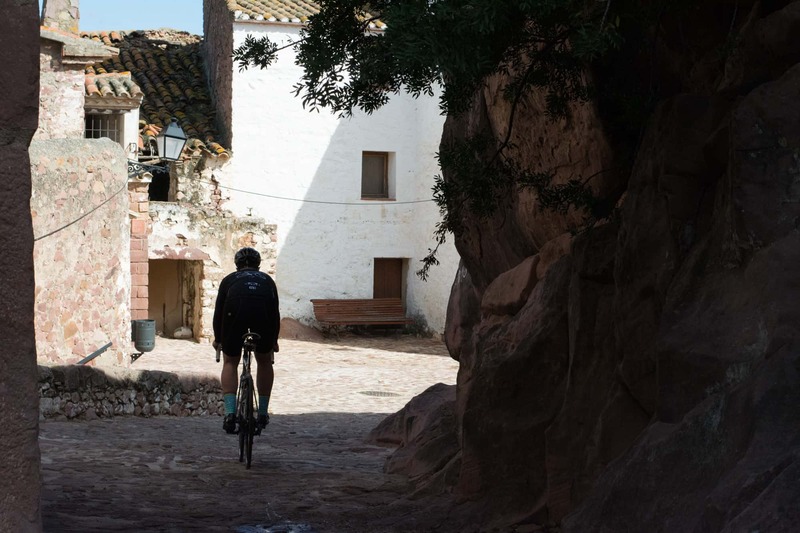 - San Miguel chapel: from the 17th century. This is the end point of a pilgrimage which takes place of the fourth day of lent. 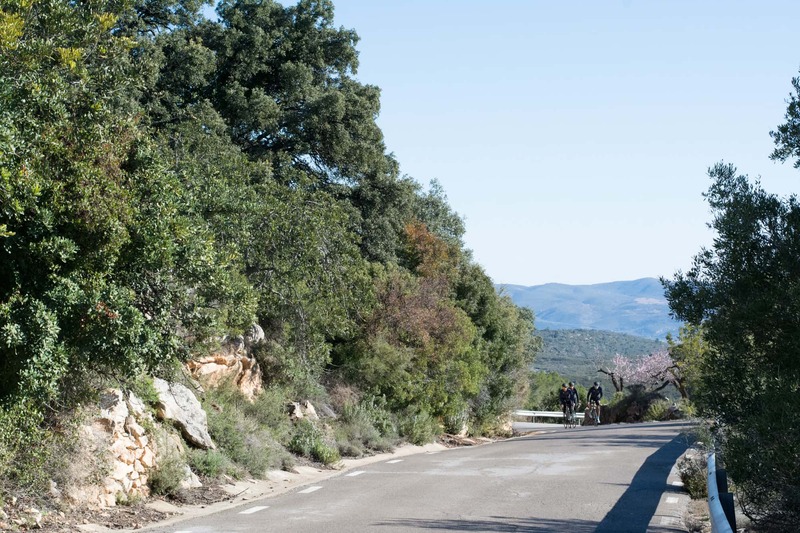 The route that we suggest in Vilafamés will take you into the Serra d'Irta Natural Park and the Peñagolosa Natural Park, and without having to go too far into either of them you will pass through two mountain passes of up to a 2nd category. 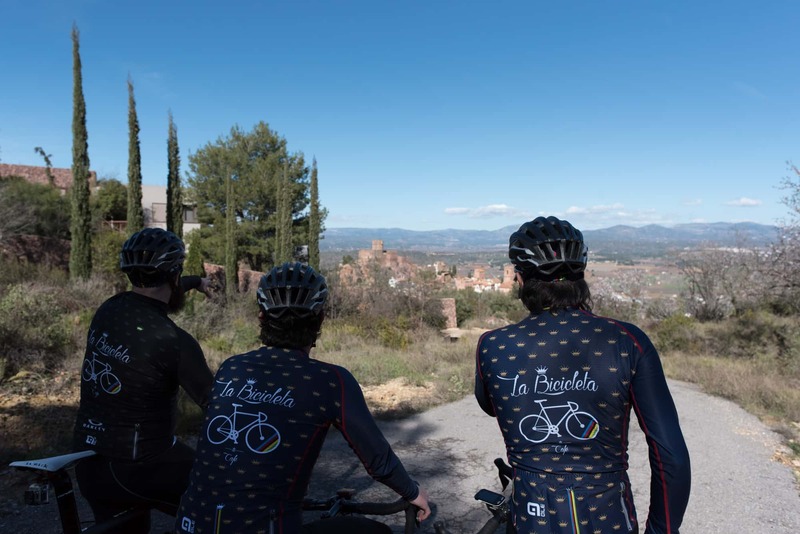 At just 7 km after leaving Vilafamés, you will start to climb up the mountain pass along a smooth road which will get more difficult the nearer you get to the top. 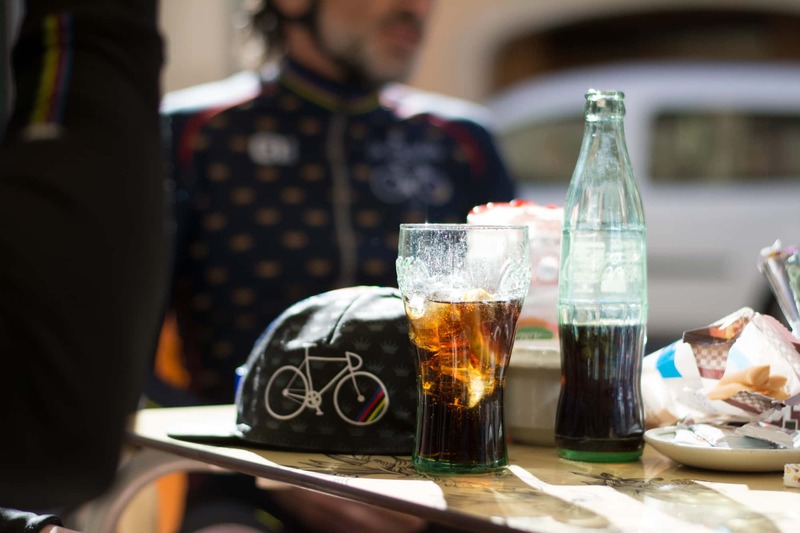 At 793 m above sea level you will have reached the top of the Bandereta mountain pass. 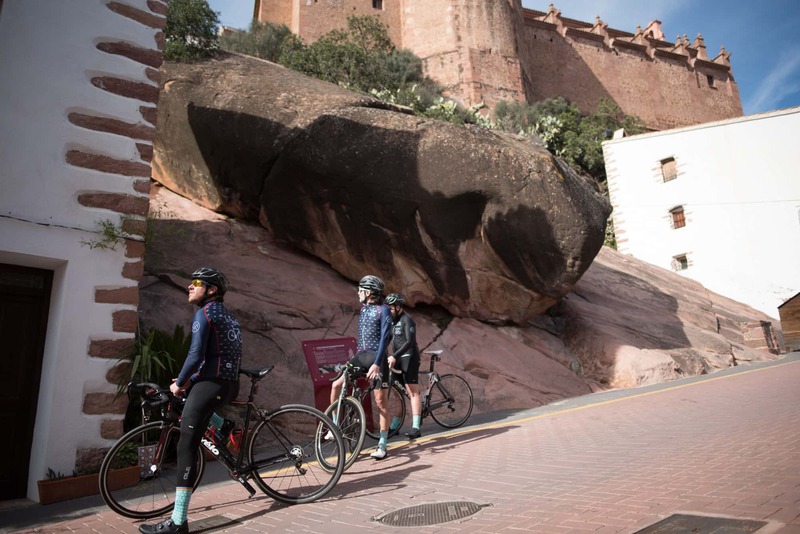 Another small steep slope is waiting for you at the Engarcerán mountain range, but this should not cause any major difficulties. 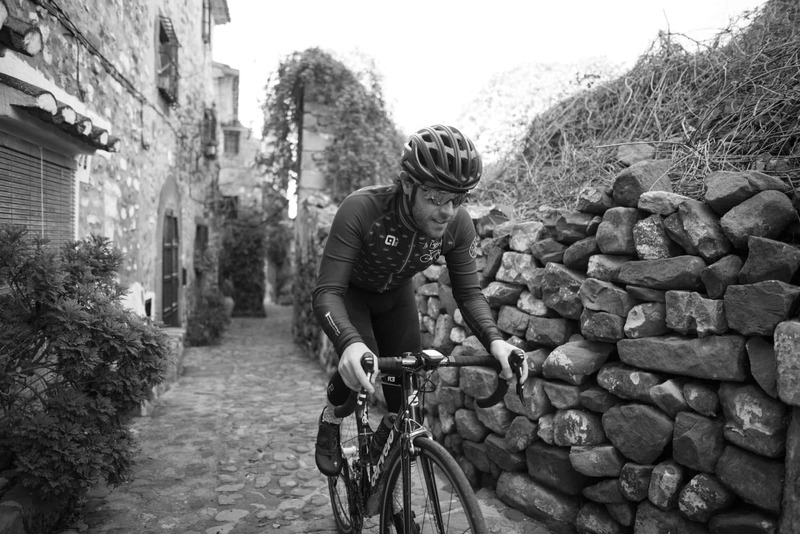 From here until Benlloch you have a 10 km decline whereby you can recover and enjoy the Plana Alta scenery. 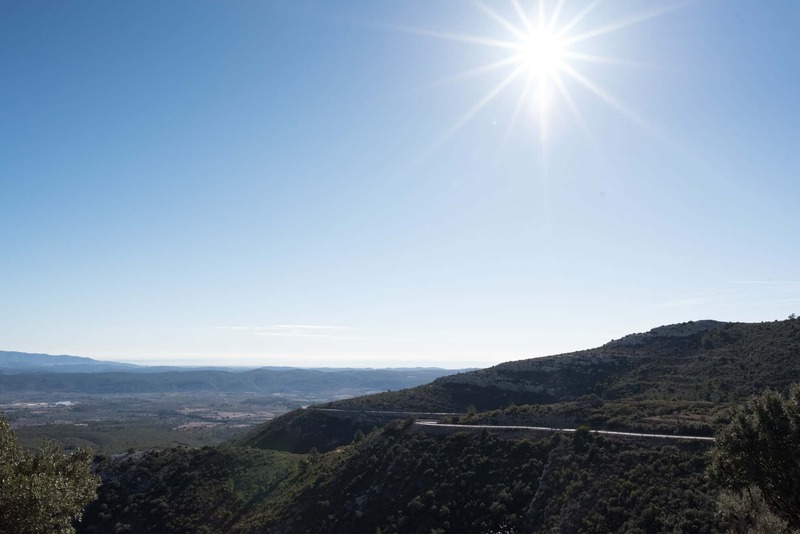 The CV10 will take you to the Puerto de la Serratella, a 2nd category mountain pass, which will prepare you for the forthcoming, more difficult kilometres. 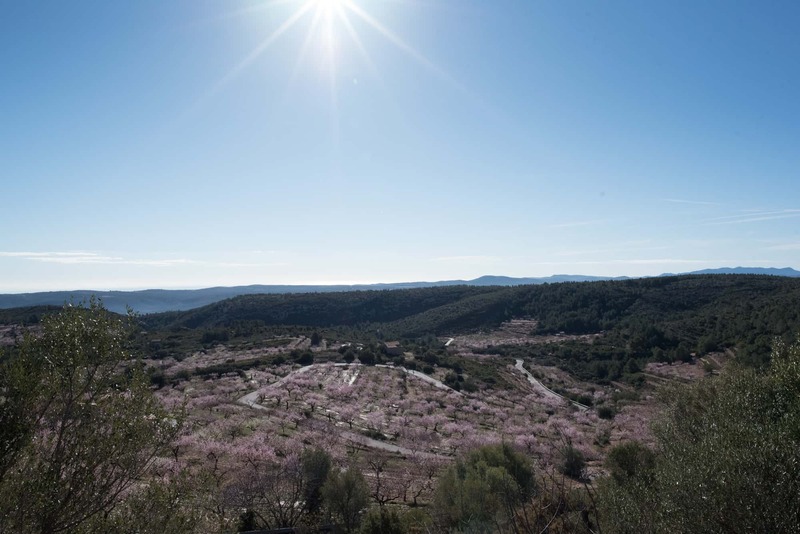 The decline from the mountain pass will leave you in Albocàsser where the terrain is flat and then a small incline begins taking you to Benassal along the CV15. 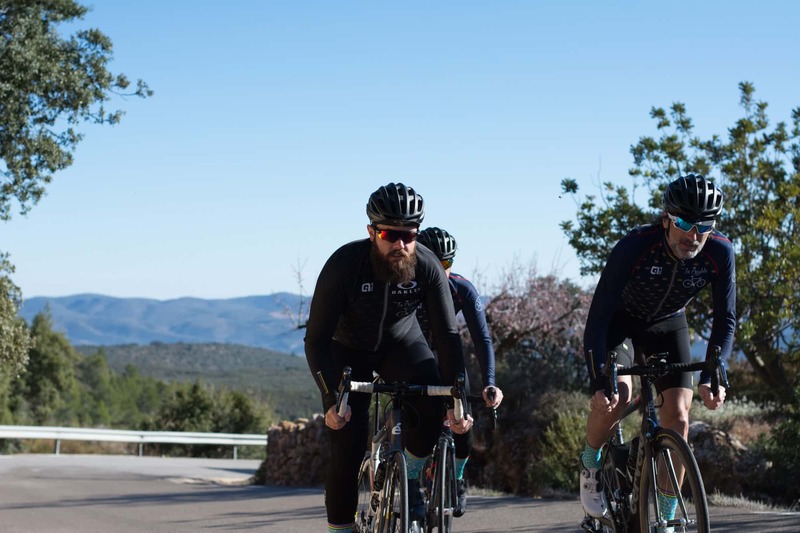 Get your breath back along this section so you are able to overcome the Puerto de Culla mountain pass, in which you will get to the route's highest point at 1,060 m above sea level. 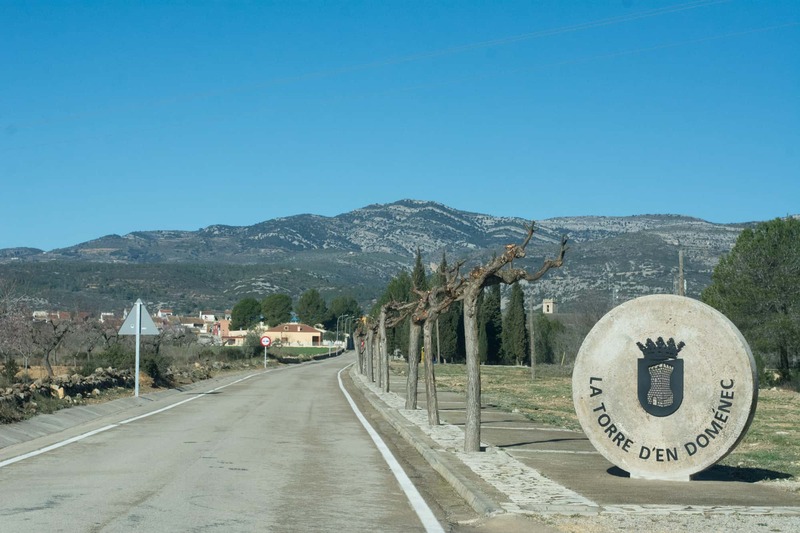 The decline along the CV165 will take you the towns of Torre d’en Besora, Atzeneta and Les Useres. 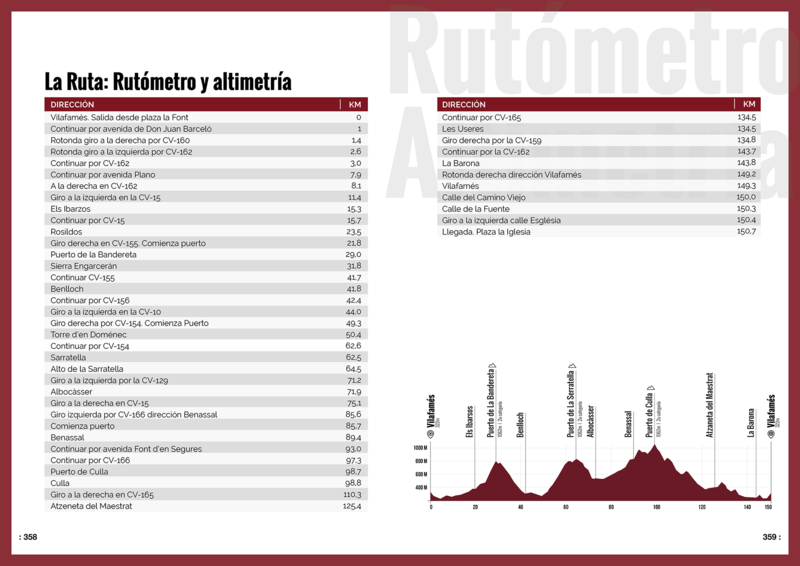 The following 13 km of the route are on a practically flat road with barely any difficulties. 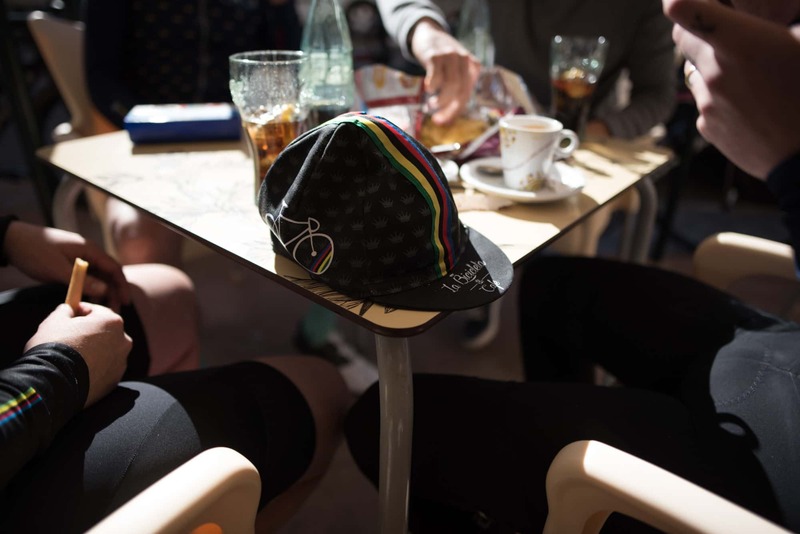 Enjoy the return back to Vilafamés and celebrate the 150.4 km that you have overcome. 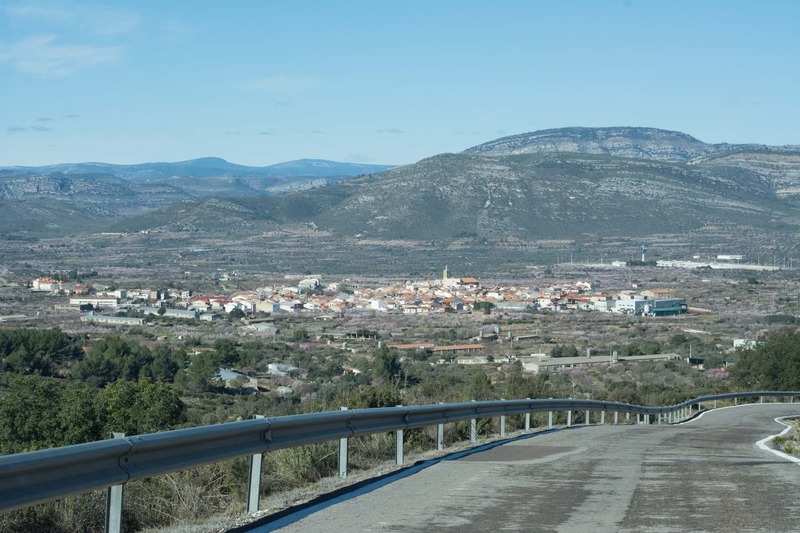 - Puerto de la Bandereta - Rosildos (Km 28.8): located between the town and the Engarcerán mountain range, this mountain pass is short but tough with a very steep incline. 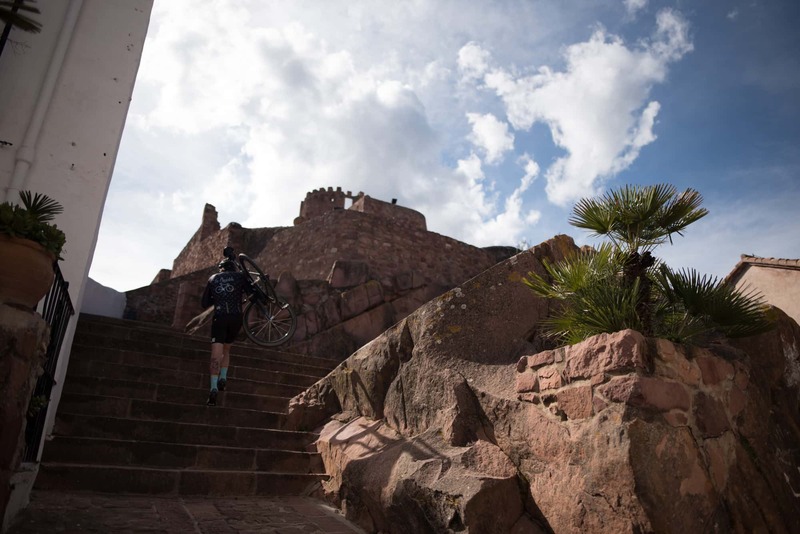 You will get higher very quickly as you cycle up here and the views are breath-taking. And your hard work will be rewarded be the panorama you will be able to enjoy once you get to the top. 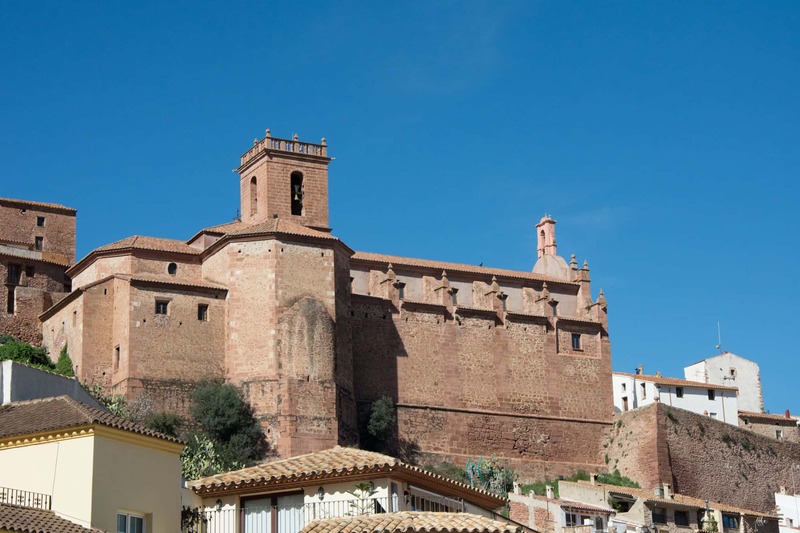 - Asunción de Nuestra Señora parish church - Benlloch (Km 41.9): located in the urban centre this church is 25 metres high and can only be reached by going up 150 stairs. 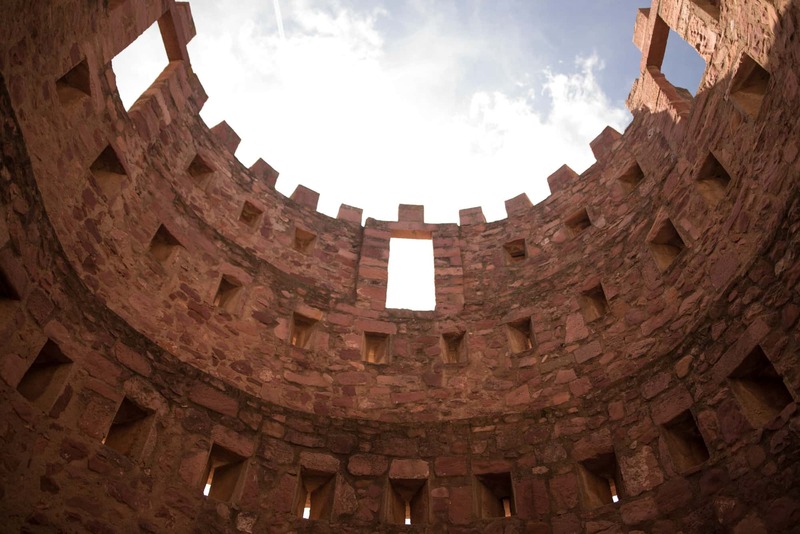 It was built in the 17th century in a Renaissance style, although it has some Gothic influences with its high vaults. Its bell tower houses one of Valencia's oldest bells. 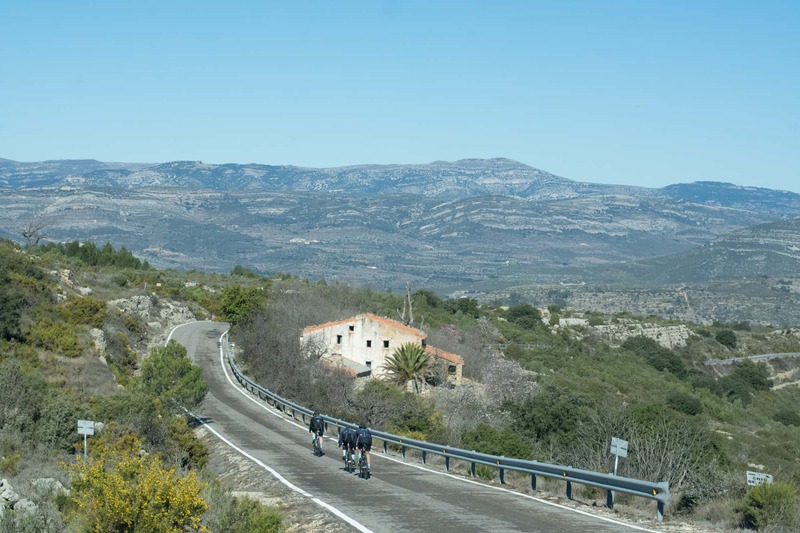 - Puerto de la Serratella (Km 65): this is a mountain pass which is not too difficult, but it is pretty and has wonderful views which can be enjoyed for 15 km. 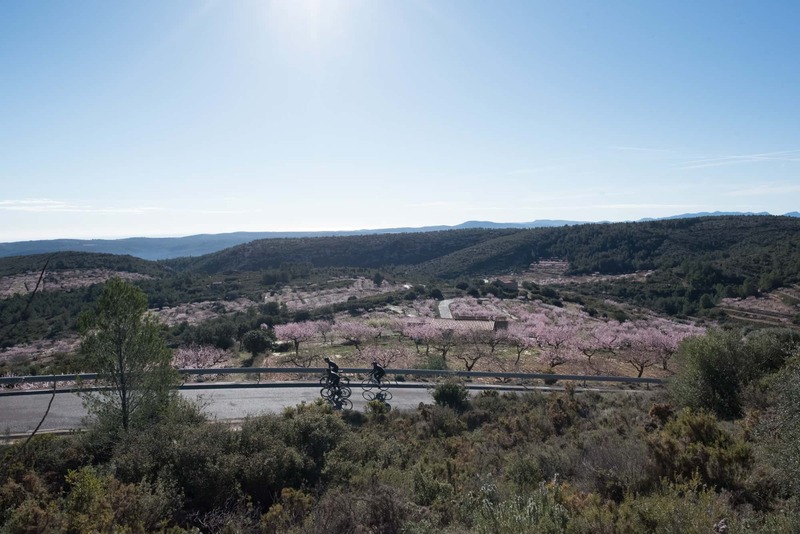 The road will take you into the nature that lies on the inside of Castellón and you will be able to enjoy the silence and peace that you will breathe in. Cars do not often pass along here so traffic will not be a problem. 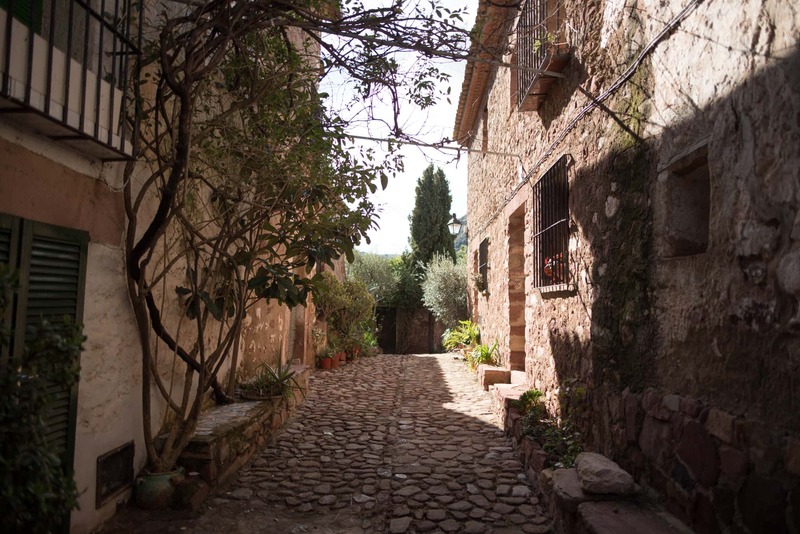 - Benassal (Km 89.7): a small municipality with just under 1000 inhabitants. Highlights for tourism include: the Asunción de la Vírgen church which dates back to the 18th century and still has its baroque facade; the urban centre where you can find remains of previous settlements; and the prison tower, which was used as a defence and a prison and made up part of the old city walls. 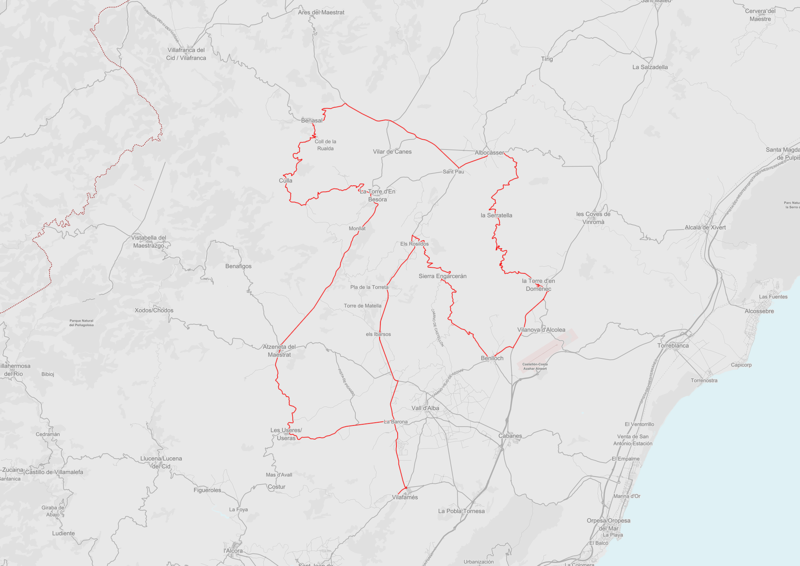 - Atzeneta del Maestrat (Km 125.7): Atzeneta is a small town located in the region of Alcalatén. 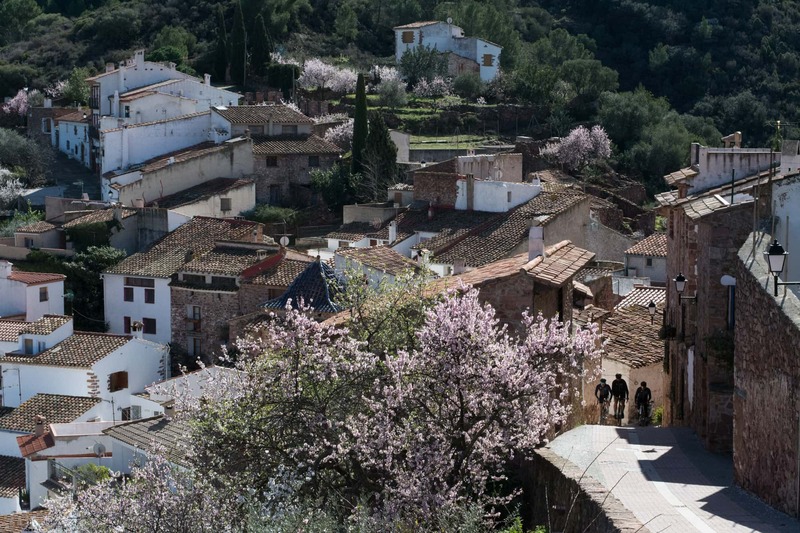 With just over 1,300 inhabitants, it preserves an important medieval and Renaissance heritage. 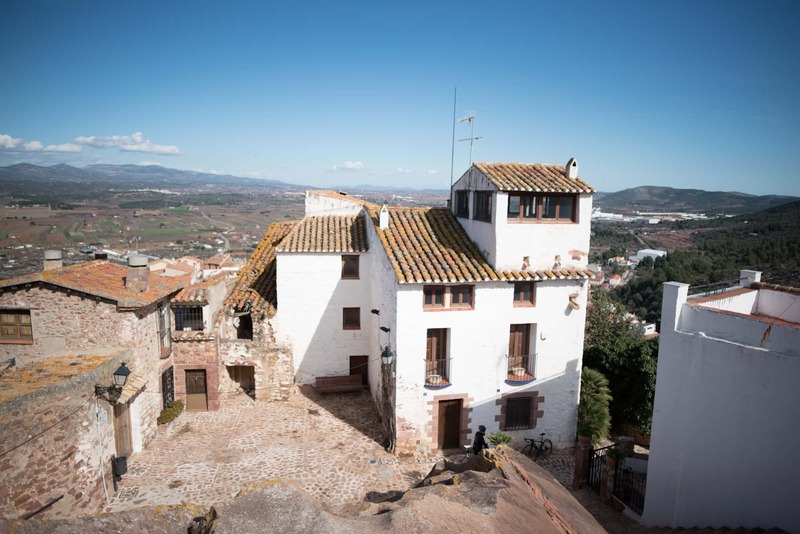 Its stand-out features include the Torre de la Presó tower which is now a museum called "Centro de Interpretación de la Historia de Atzeneta del Maestrat" which explains the town's history. 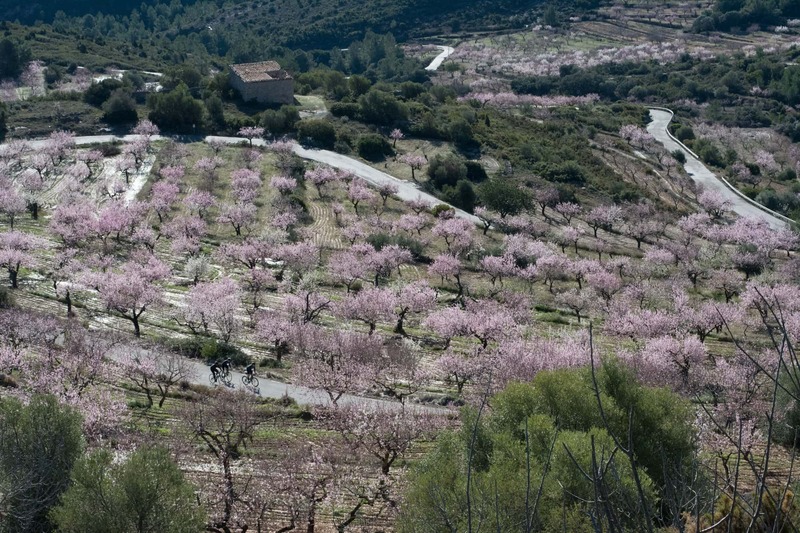 - Les Useres (Km 134.6): municipality in the region of Alcalatén located between gorges and mountains. Although it has less than 1000 inhabitants, you can visit four chapels and an 18th century parish church located on the castle ruins. - Restaurante la Vinya (Calle la Fuente, 17): traditional, home-made dishes. Their specialities are croquettes and artichokes. 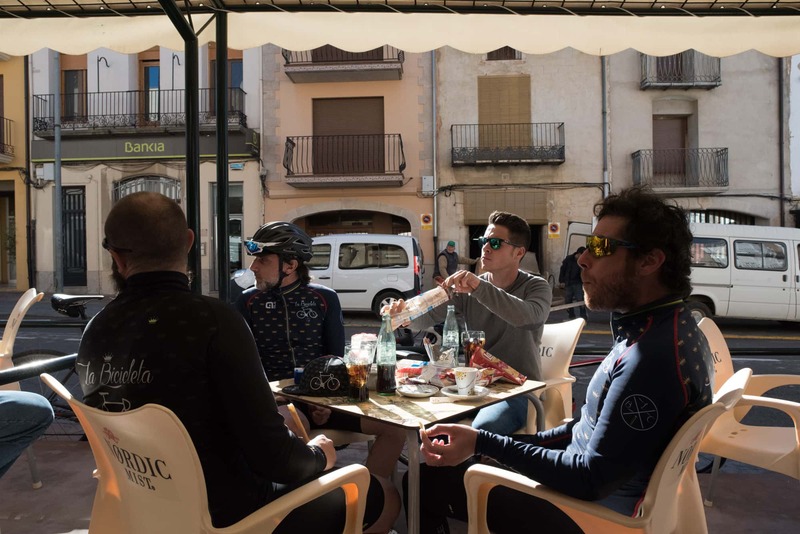 - Calauela (Plaza de la Font,3): One of the town's traditional restaurants where you can try typical dishes. 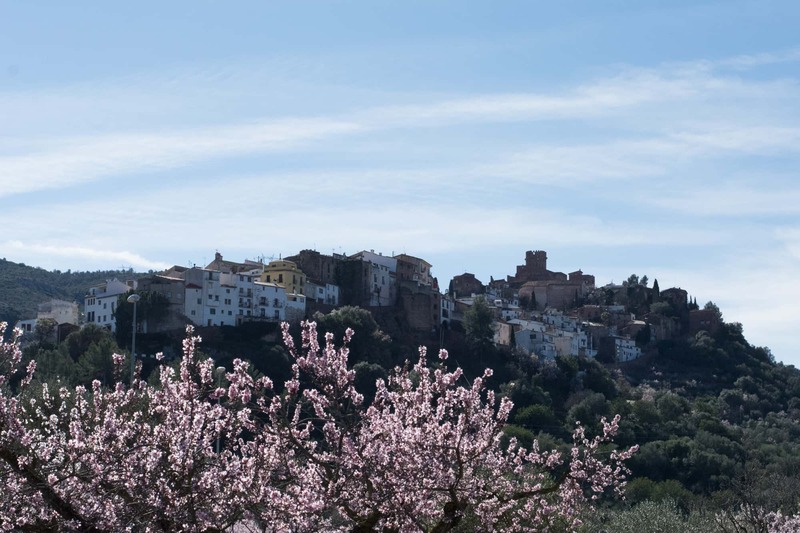 - Hotel Rullo (La Font,2): a rural stay in the historic centre and views over the entire town. 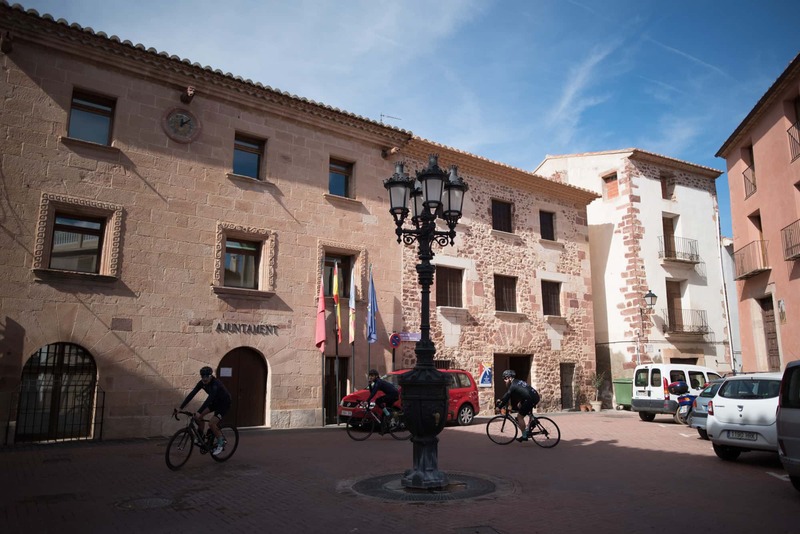 - L’antic Portal (La Font,6): an affordable, rural hotel decorated in a rustic way. - El Jardín Vertical (Nou,25): an 18th century rural hotel.